Interiors 2 Suit U as the answer to all of your prayers if you have been collecting more and more junk over the last few years. Storage beds are the solution. We stock various Storage Bed options within this section to match what you're looking for. Our solutions include ottoman beds that work using a gas mechanism, making it easy to lift up the top of the bed frame to reveal expansive space under the bed. This type of bed generally has up to four times more storage space than the traditional divan beds. Storage beds are ideal for smaller places but just as practical in bigger bedrooms. 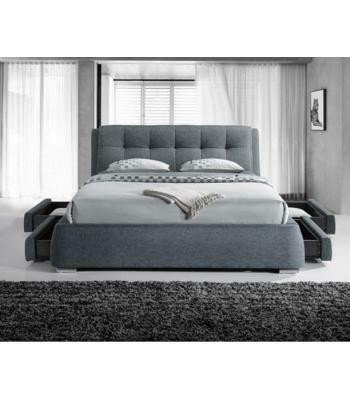 Storage beds also include bedsteads with drawer options available in upholstered fabrics. Maximize your bedroom storage and choose from our fantastic bed range.